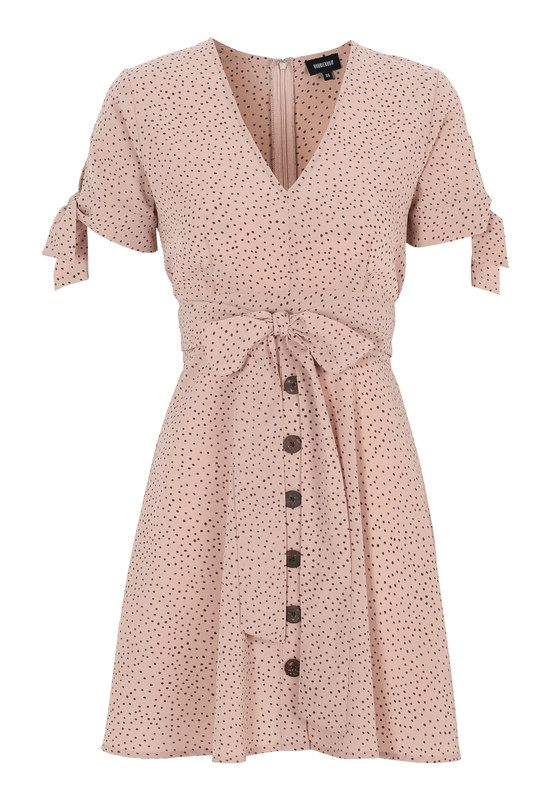 Lovely summer dress with buttons and tie details from BUBBLEROOM. - The buttons are for decorative purposes only. - Length of dress from shoulder: 87 cm in size 36. - Waist: 76 cm in size 36.